Ooohh yeah, these were so good! During the Chinese New Year celebrations was lucky to be in Sydney to enjoy the some of the festivities. We'd heard of this restaurant with high recommendations from neTTe having recently returned from a trip to the original restaurant in Taiwan, so set out to explore and try to get a seat- we didn't know what to expect given the New year celebrations and the usual mayhem which is Sydney's CBD on weekends. We arrived to find huge lines of people waiting outside (in the rain!) and thought to come back later, only to realise there is a break between lunch and dinner. Disheartened we left, but our hearts and stomachs were set on having hot, juicy dumplings so we came back and for dinner- 3rd time lucky! Though there were a a fair number of people ahead of us in the queue, the service was very efficient and it wasn't long before we sat down to order our dumplings. Luckily while waiting we got a chance to perve peruse the menu. 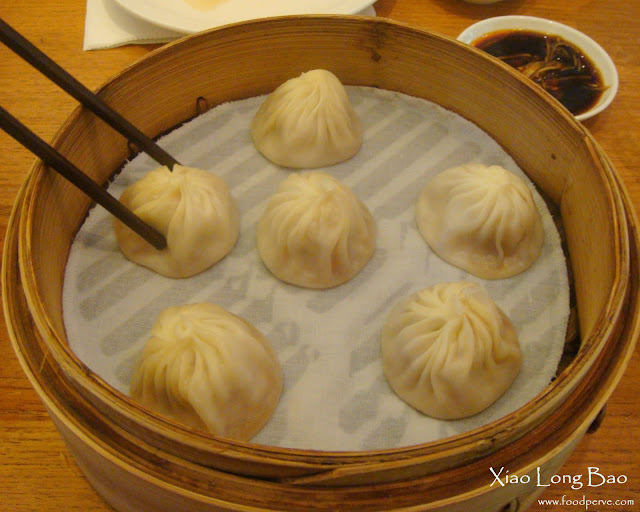 And so... we ordered all the different dumpling dishes... Yes. All. There weren't that many per serving and we were carrying our hunger for dumplings from lunch. Can you blame us? They were so damn good! Perhaps we should have tried something else too!? Well... on this occasion we didn't have enough space to fit anymore so it'll have to be next time! 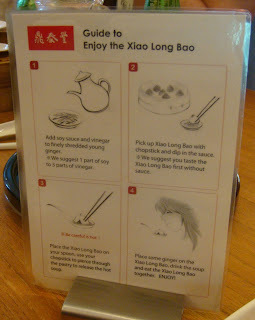 Instructions on how to eat them properly! 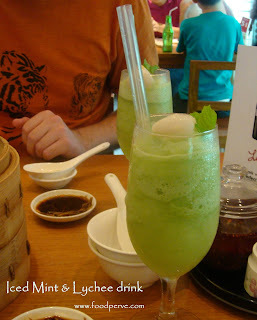 This was a delightfully refreshing drink- mint and lychee - double yum! at 8:33 pm Posted by M?